So, while we in America were going about our lives with freedom, abundance, and peace, the people in East Berlin were struggling just to survive in a city that had been torn apart and segregated literally overnight on August 13, 1961. Before that fateful night, Berliners in the east and west had a pretty normal existence in the city, with many East Berliners working in West Berlin and families living on both sides of the city. 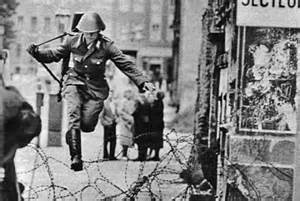 But without any warning at all, Berlin awoke on the morning of August 13th with a crude barbed wire barrier separating those from the east from their families, jobs, and neighbors in the west. 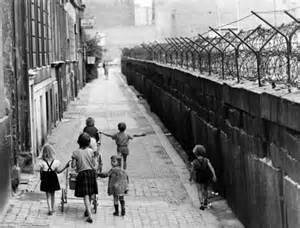 No longer could they travel freely from one side to the other. Phone lines were cut between the two sides and it did not matter if your family or job was on the other side – you were now a prisoner in your own city and if you tried to escape, you would be shot. These Berliners were just like us – not foreigners from a far away land – but moms, dads, teens, kids, and babies who found themselves caught in a political nightmare from which they could not wake. 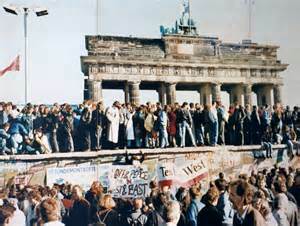 Those in the west were able to prosper economically and enjoy all the freedoms they desired, but those in the east were left in a crumbling half-city that put more effort into creating 2nd, 3rd, and 4th generation walls to keep their citizens trapped inside, than to making life better for them. I try to imagine my own hometown of Costa Mesa, California being separated by a wall during the night without warning and not being able to see my brothers, or cousins, or even my mom who lived on the other side of town. And aside from a few special moments where my government allowed visits from relatives in the west, for the next 28 years, I would barely be able to talk to them to see how they are! Babies would be born, family members and friends would pass away, holidays would come and go, but I would miss all these happy occasions with my family. It really is hard to even imagine such a horrifying scenario. But it really happened in Berlin. So here I am in Berlin on the 24th anniversary of the fall of the Berlin Wall and am feeling incredibly moved to be standing on the site where so many people brutally lost and then gained their freedom back after 28 long years. I am feeling so blessed to visit this incredible city and FINALLY get to know the real Berliners – the wonderful people who are not any different from me – but people with a TRUE appreciation for freedom and liberty and who have earned the right to laugh heartily and love deeply. For me to think that while I was busy going about my life full of abundance and freedom in Southern California, some of these people standing next to me on the street or in line at the local Starbucks were living in oppression everyday and struggling just to have a nice place to live, food to eat, or to see their mother, son, or sister who was torn away from them without even a chance to say goodbye. 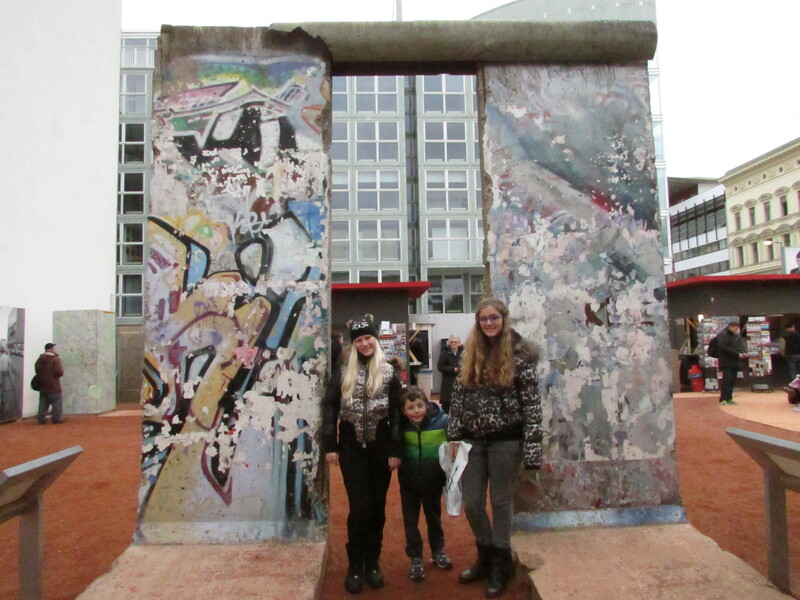 This experience of seeing Berlin and learning about it’s history first hand has been incredibly educational, emotional, and thought-provoking for Kaitlin and Cassidy. They are realizing how lucky we are and how silly some of their own priorities really are in comparison to what many in the rest of the world are having to endure. This shift in mentality in my girls is what I was hoping to achieve on this trip, and with many of our explorations so far, I feel very good about the choice to take this life-changing adventure. How about you? Have you visited Berlin? Tell us about your experiences! Great story, Gina. Thanks for sharing. You are so blessed to be experiencing so many wonderful things.